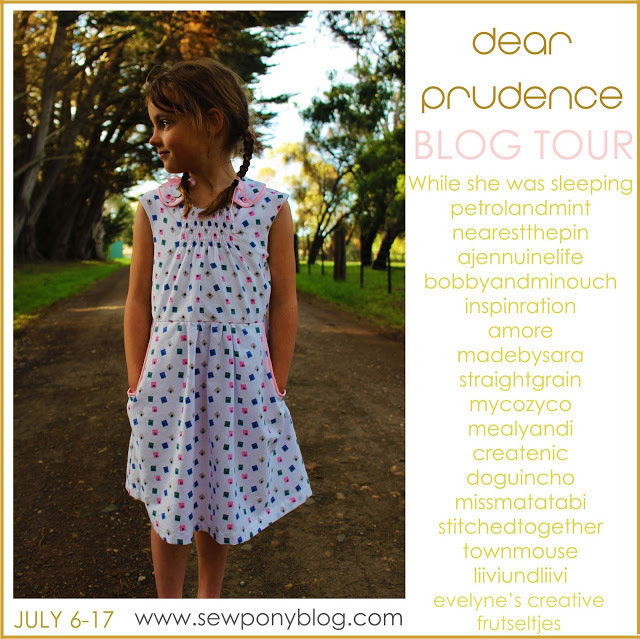 Today for the Dear Prudence blog tour, I have two guests. Maria from mycozyco and Nicola from createnic. I am a new follower of Maria from mycozyco. Maria was born in Colombia, but lives now in the UK. She writes her lovely blog in Spanish and English. She knits and sews for herself and her children and all her makes are lovely. I love the Ishi dress she made recently. I am very happy to have Maria on my tour today. 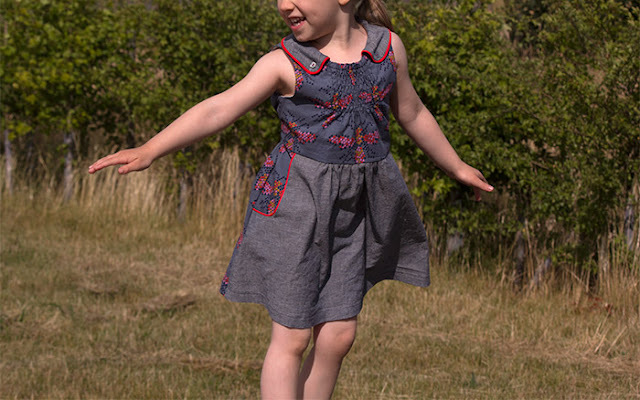 You can more of her gorgeous dress over at mycozyco. Nicola lives in Sydney with her family and blogs at createnic. Nicola is an ex OT (Occupational Therapist), and so am I! We are both Aussie and both love sewing - we have a bit in common:) Nicola was in my testing group and I was very excited to see her pretty Dear Prudence dress on her sweet daughter. 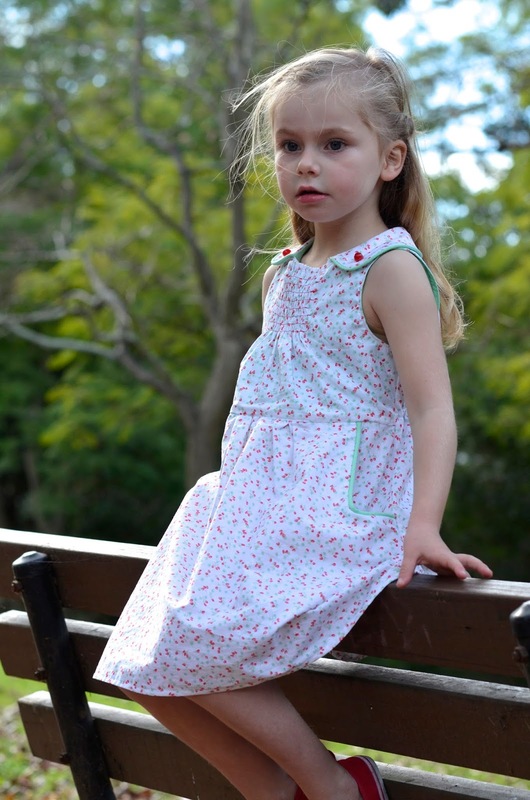 Nicola sews great stuff for her kids and herself. I need to follow Nicola's blog a bit more closely from now on! You can see more of Nicola's lovely dress here. Thank you so much Maria and Nicola. Your dresses are lovely!